This is a 2 session class happening on 2 consecutive Sundays from 10AM - 1PM. Over the course of two 3 hour segments we'll cover the foundations of the GMAW or Mig welding process, as well as its cousin FCAW or Flux core. We'll discuss the different merits and shortcomings of both and discuss how and why to select the right process for the job. We'll also cover machine setup and maintenance, and share some great practice regimens for honing your skill on your own time. 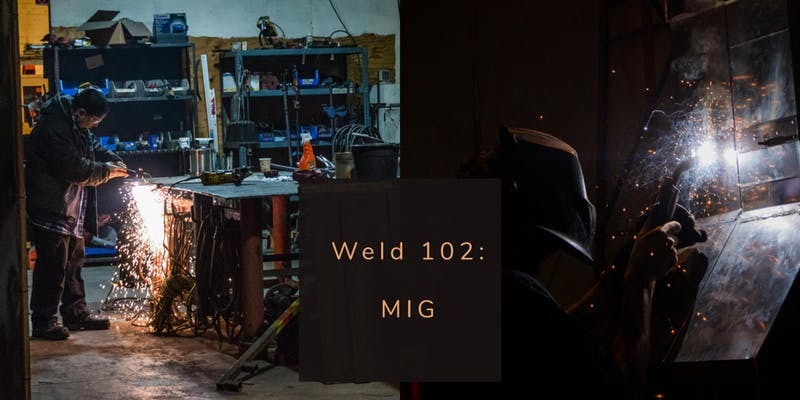 This is a great course for those completely new to welding, returning for a refresher, or for owners of a welder looking for setup tips and tricks.